Next up, Leon. May 2. This thirteenth century Gothic cathedral is just behind the Chartes cathedral in France for the square feet of stained glass windows. OMG I wish I had binoculars to view the images more closely. it's a fact in my world that so much craftwork in the churches and cathedrals goes unnoticed and certainly under appreciated. So much great work by anonymous crafters and artists crammed into walls fifty plus feet high. These walls of carved fugues and designs tell stories of a time. And probably like grocery store shelves the key products or stories are at eye level. 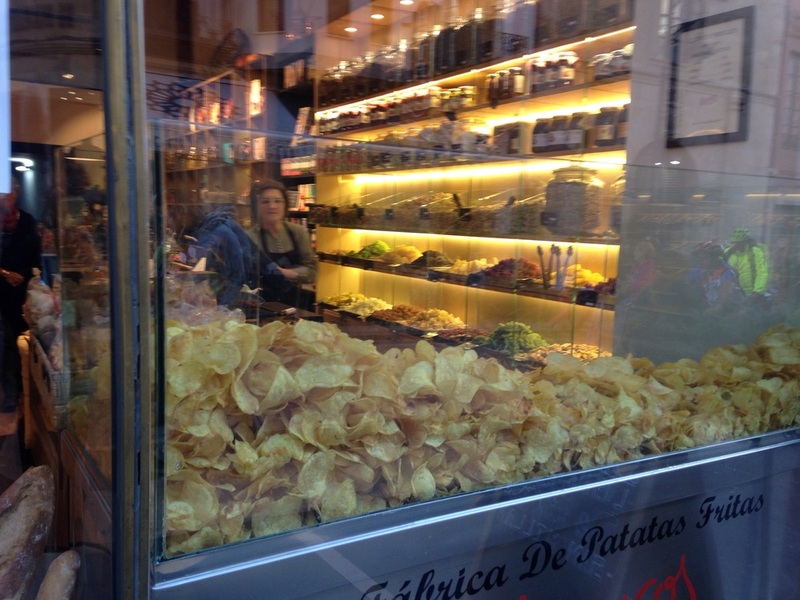 Our master guide for this adventure, Dave Martinez, directed is to this shop for potato chips. So happens that 38 years ago in Granada Spain we stopped by a shop that fried churros on the morning and potato chips in the evening. Warm memories nestled in a window. Yumm. 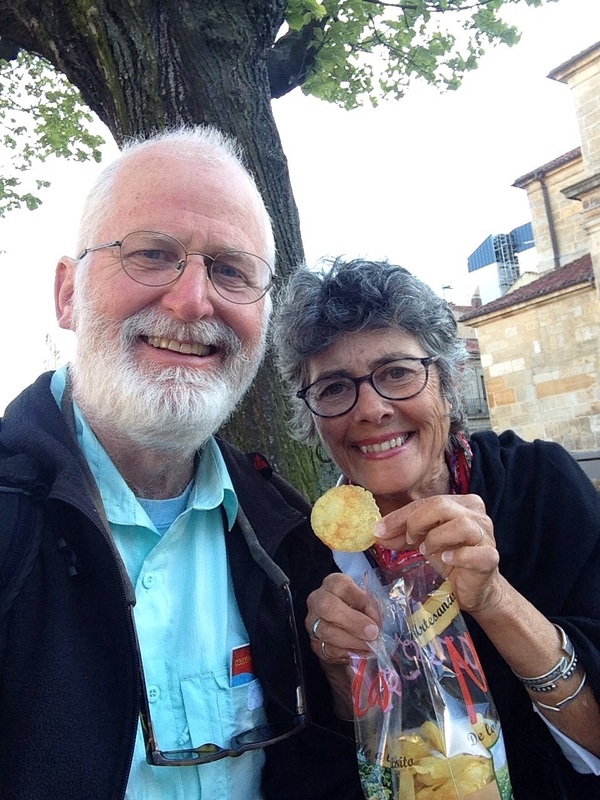 Cheers to our Camino guides! Traveling is rich and at every corner something new reminds me of something or someone important in my life. This almost constant ah- ha moments give me cause to pause and to reflect on the important connections in my life. This one is for all my many avid cyclist friends. Leon Spain created a big basket full of memories for us. These are just a few; some rich in history, others just whimsical.